Talking To The Musicians Of 'Treme' : A Blog Supreme "We believe in partying for a living": New Orleans trumpeter Kermit Ruffins, saxophonist Donald Harrison Jr. and trombonist Jeff Albert speak out on the hit HBO program which some of them helped create. 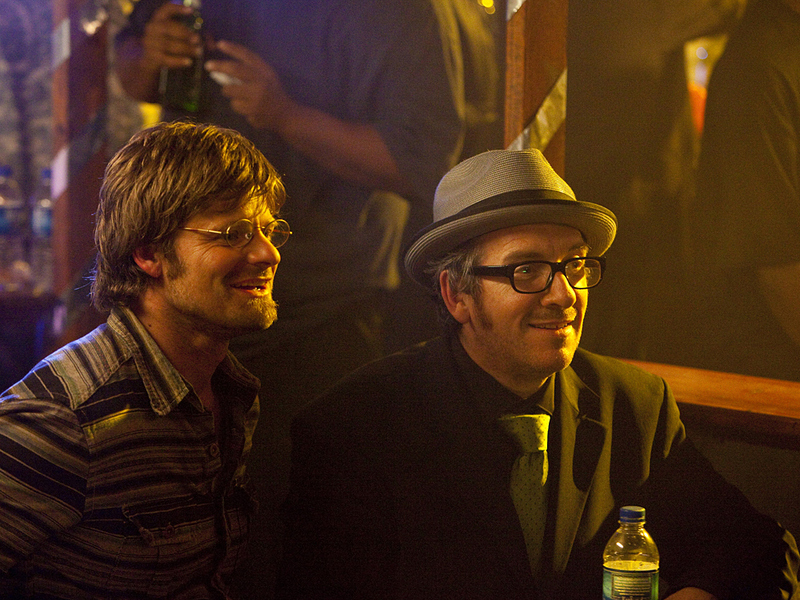 According to Kermit Ruffins, this scene with Elvis Costello was based on another incident involving Mick Jagger. Owing to our weekly recaps of Treme, the editors of JazzTimes asked me to profile the HBO show for their magazine. That item is in the July/August print edition, and also online now in its entirety. On playing himself: I play myself, which is a lot of fun, I tell you man. I ain't had so much fun doing a project in a long time. And I never thought it was going to be so much fun. 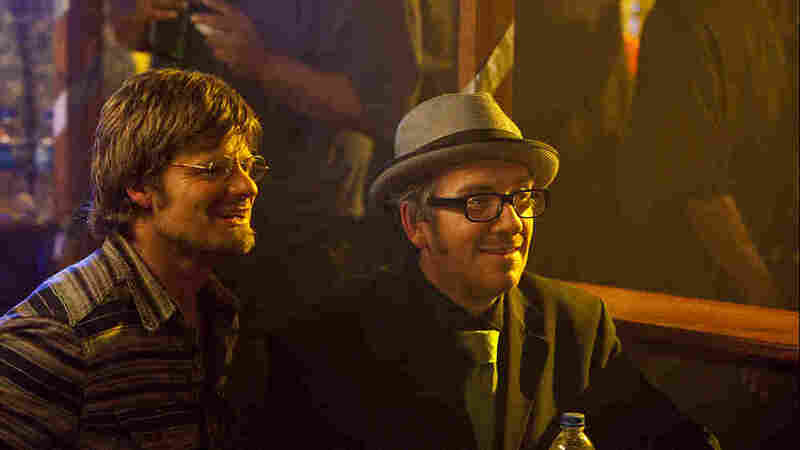 On the Elvis Costello scene in episode one: It was actually Mick Jagger that was in the bar. I didn't realize -- I didn't catch his face. I was nice and high, playing my trumpet, crowd full of people, and [the real] Davis walked up to me, said, 'Man that's Mick Jagger? Don't you want to meet him?'" On New Orleans: We believe in partying for a living. On watching the show: Sometimes it's hard to deal with that again. It's so good that it wigs me out a little bit. This isn't drama that I need to do over. On the heart of the show's authenticity: If you have guys from the Rebirth Brass Band playing their music, they way they play it, on screen, then it's hard to get wrong. And I think that's the brilliance of David Simon and Eric Overmeyer and [co-executive producer] Nina Noble, is that they get the people who actually do it, and look at what they're doing, and how it feels, and what it looks like. And they also ask us, 'What do you think? How can we make this better?' Which never happens ... When I was at major record companies, nobody asked me how I felt! On the finished product: I went to the premiere, and we saw it on a large screen. I felt like I was in the second line. If it feels like you're actually there, then they're getting it right.